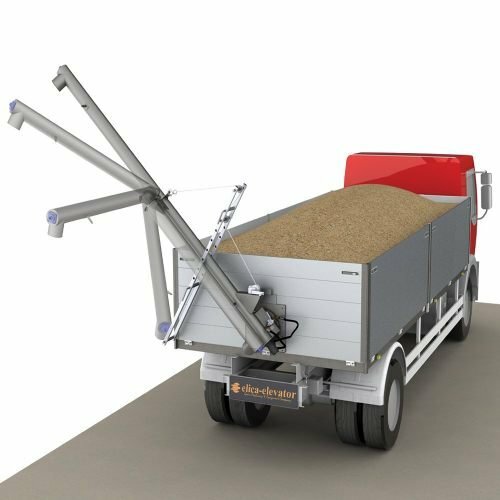 Elica Chain conveyors represent a cost-effective and secure method for horizontal conveying of grain and bulk material. 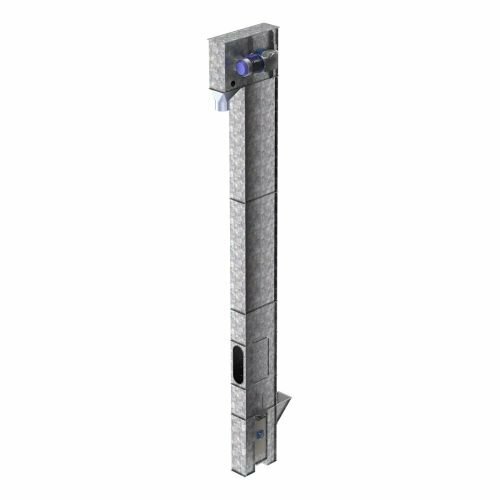 The equipment is manufactured in sections made of galvanized steel which facilitates the installation, technical support, and maintenance. 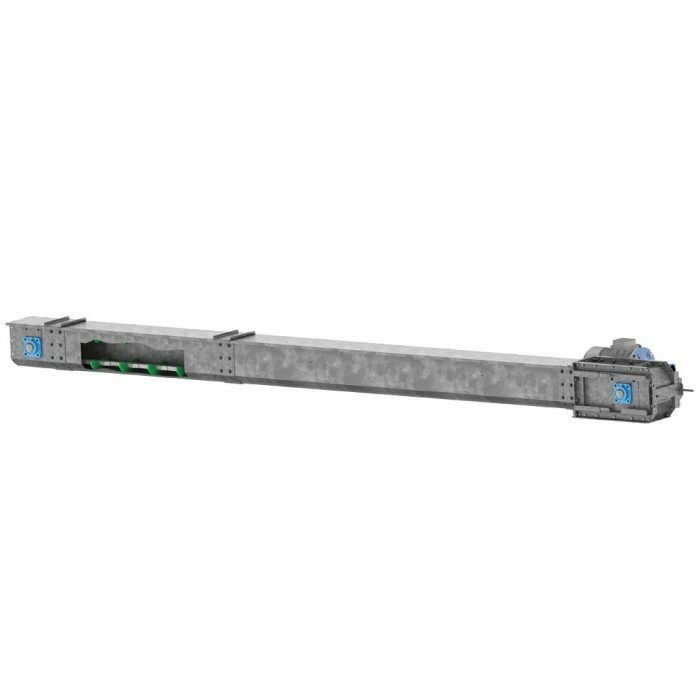 The chain conveyor can have single or multiple inlet hopper. 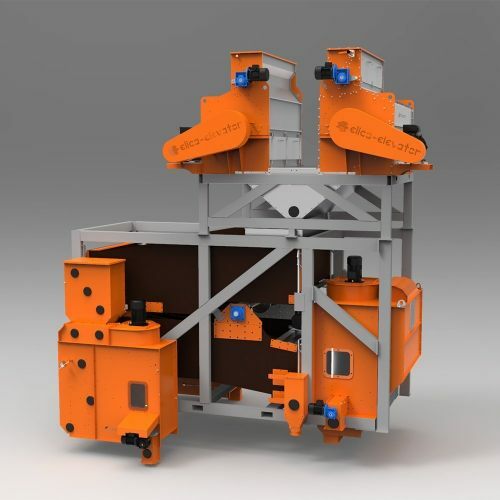 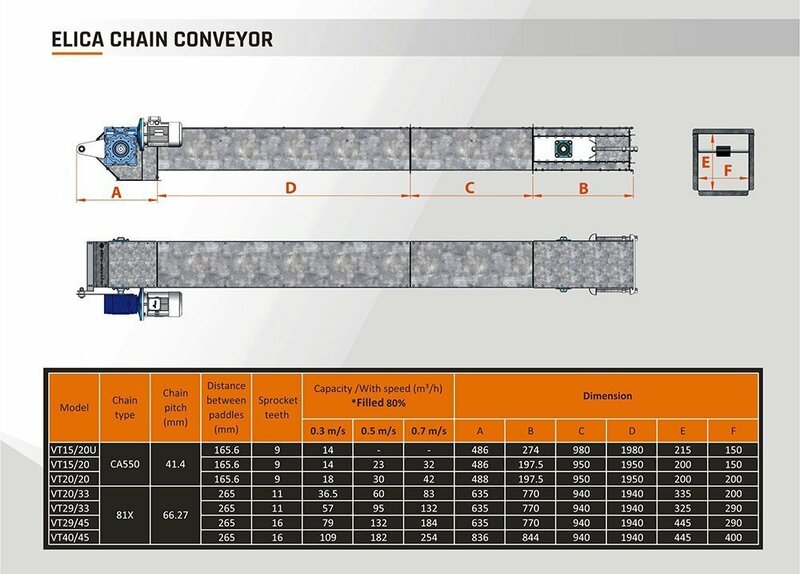 Elica Chain conveyors represent a cost-effective and secure method for horizontal conveying ofgrain and bulk material. 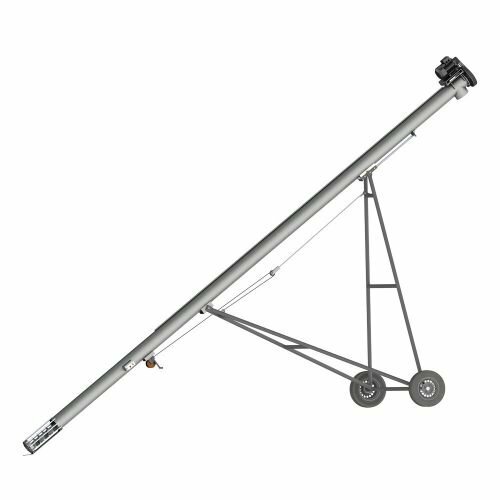 The equipment is manufactured in sections made of galvanized steel which facilitates the installation, t echnical support and maintenance. 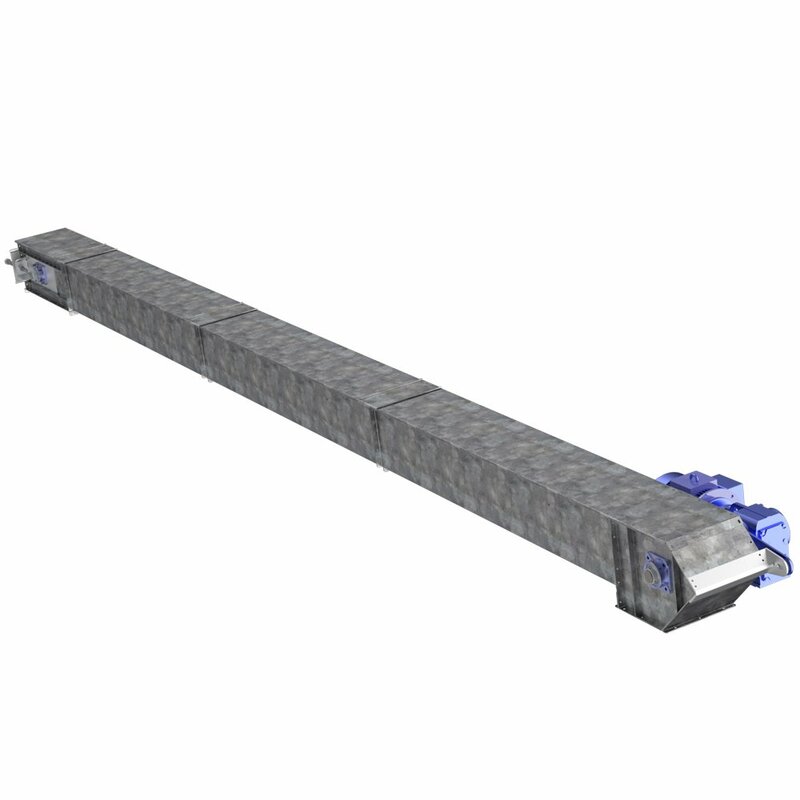 The chain conveyor canhave single or multiple inlet hopper. 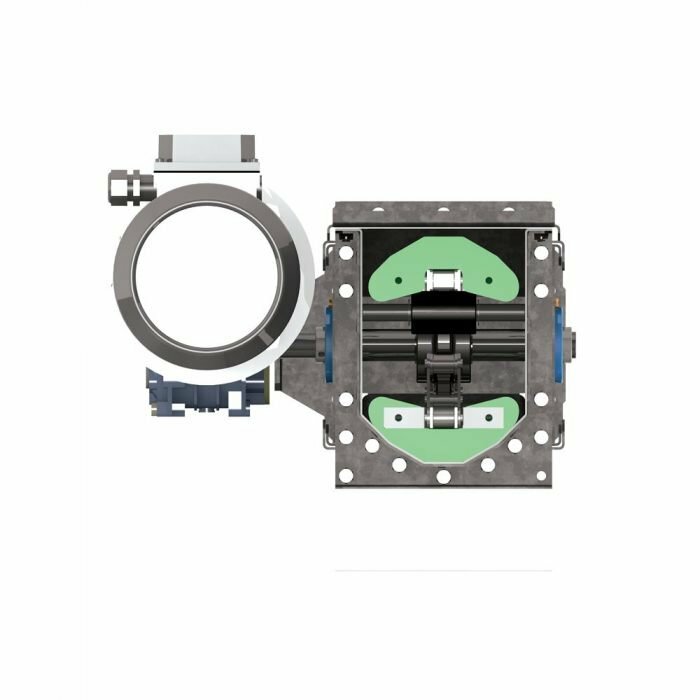 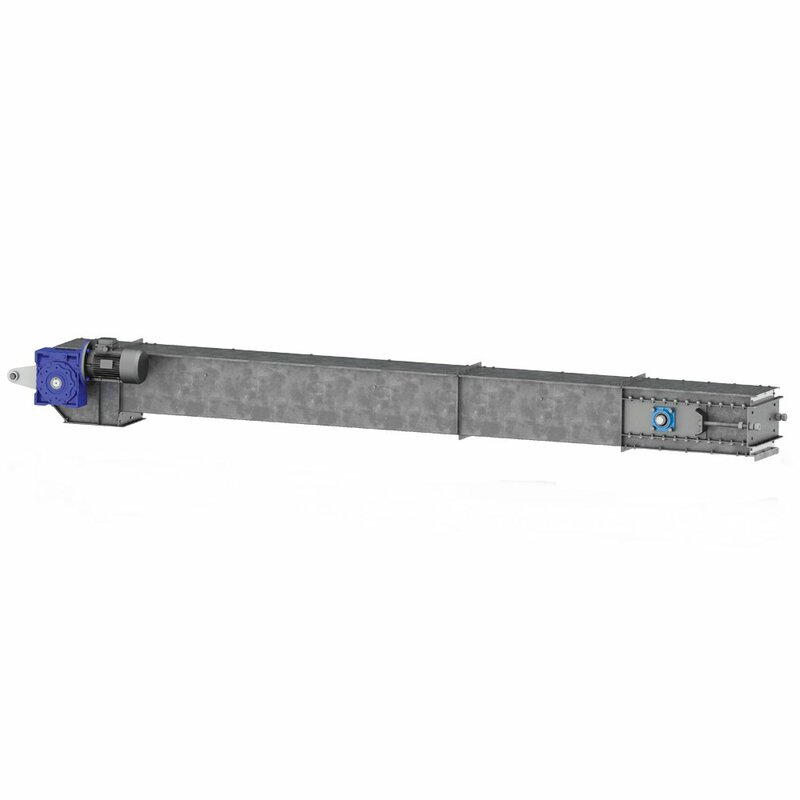 The paddles attached to the chain are made of polyethylene PE “S”1000 which contributes to the easily and evenly conveying without causing damages even at high speed while extending the service life of the equipment. 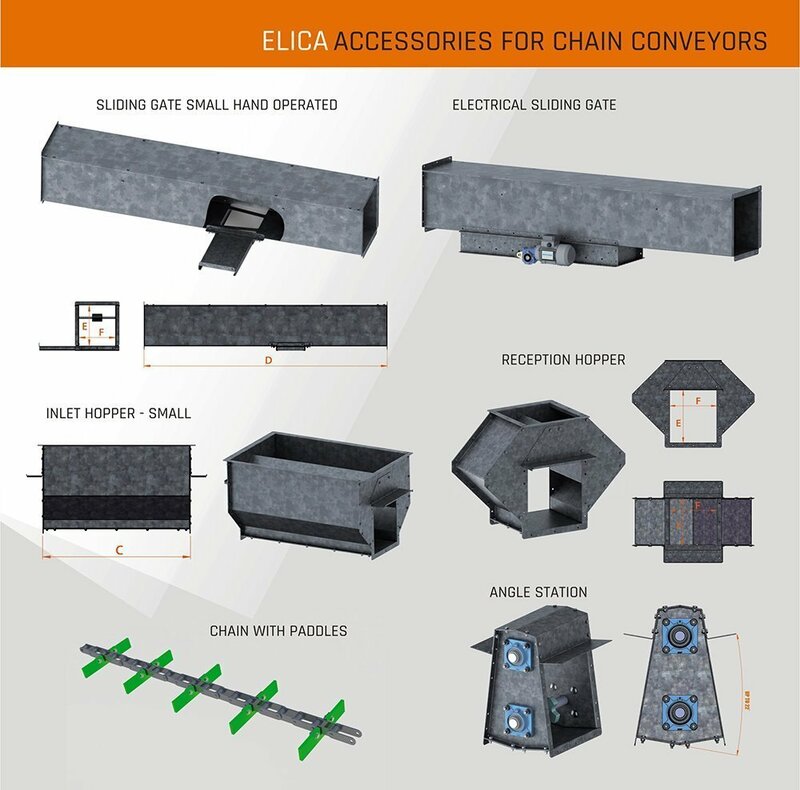 Elica Chain Conveyor can be supplied with mounted sliding gates and valves controlled manually or with an electric actuator.